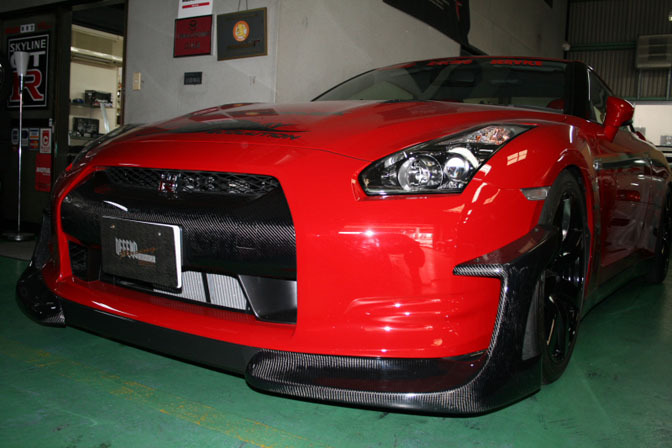 Here we have some more photos from another one of Japan's big tuning shops. 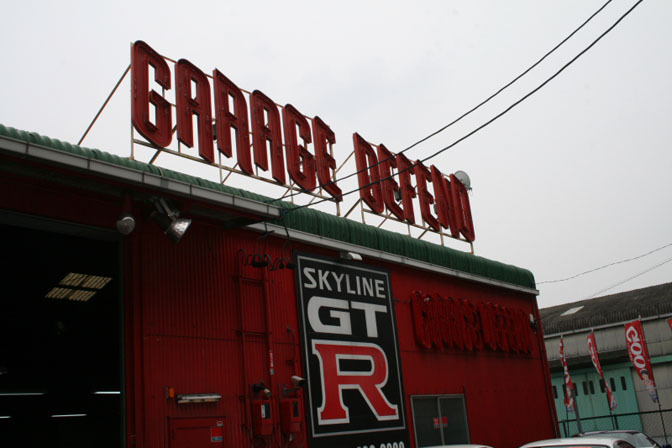 Mr. Doricar is a member of the Driftworks forums who lives in central Japan, and he was kind enough to post up some photos from his recent visit to Garage Defend in Aichi Prefecture. Defend is a well known tuner in Japan, and they are particularly famous for their work with Nissan cars and the GT-R in particular. Besides the tuning shop, Defend also operates a fully stocked car dealer that is loaded with top quality performance cars. Here you can see the outside of the shop. Defend's facility is actually pretty large by Japanese standards. You'd be surprised how many well known Japanese tuning shops are located in small, unremarkable buildings. Outside the shop you can see a few of the cars that are for sale. 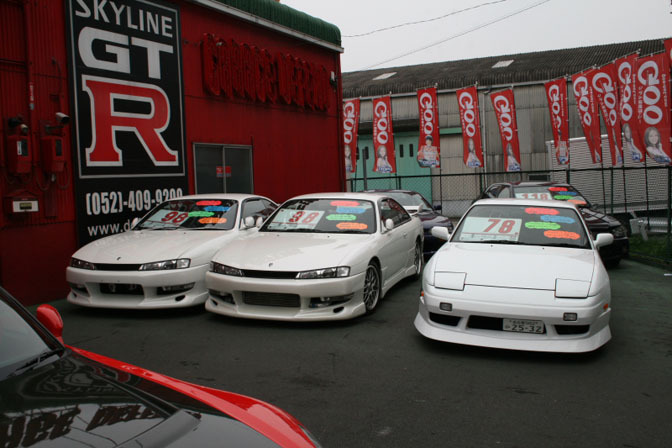 The two S14's on the left look identical to each other. 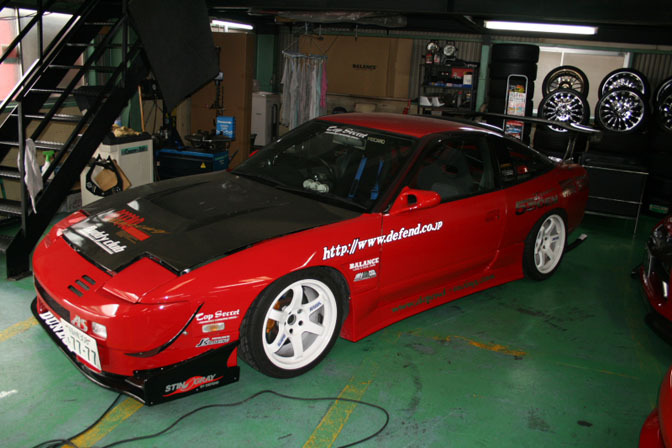 Here we see Defend's 180SX demo car which is often seen participating in local circuit events. Recently this R35 GT-R has been Defend's most talked about creation. The carbon fiber canards are some of the most aggressive aero parts fitted to the new GT-R. This whole car is actually available for purchase if you are so inclined. Defend does not work with Nissan exclusively. 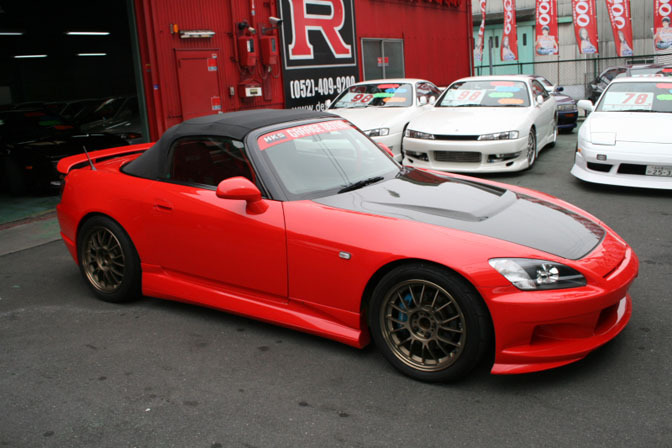 This AP1 S2000 is another one of their demo cars. One last shot that show some more of their car inventory. Shopping spree anyone? Do any of you guys want to take stab at naming all the cars in the above photo? 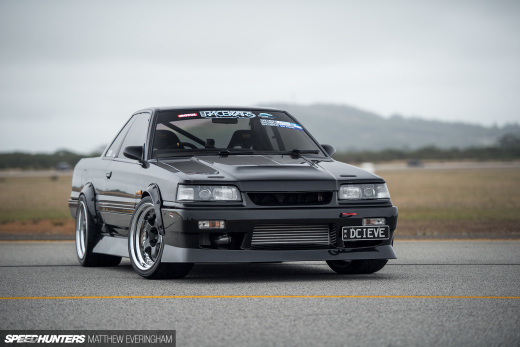 For more Garage Defend photos check out the Driftworks link below. Awesome!!! I've been wanting some garage specials! Great article Mr. Garrett! That S2000 looks rather cool, I noticed the Goo flags in the background so I had to check out the stock via Goo. is that a red diablo in the back row, second from the right the side of the photo? I sent you an email a while ago with my flickr's pics of the J's Racing HQ attached to it. I was wondering if you got it, and if you want to post it up (to share it with other people). Let me know, if you haven't got it. I can send it to you again. wow those R35 canards are super aggressive. Alex, can you send it over to me again. I'd love to hit up J's Racing sometime but Osaka is SO far from here! Cool. I'll take the purple 180SX. It's located North West of Osaka. The best way to get there is taking the JR to Neyagawa-shi. Mike, your email is moparwagonz@hoymail.com ? That's the one right? Otherwise just post it up, and I'll make sure to send you my flickr's pics. hi,i´m a great fan of drift, i dreams with be a drift driver, but i got a question do you help people wanna be a drifter, i´m 21 years old i got a honda prelude 88,with some tuning,,so thank if you can give a answer i put my email below,,ahh do you sell drift car? ?..